Why Would a Megachurch Experience Decline? I was pondering an interesting question today after seeing a megachurch pastor preach about reasons a church experiences decline. What would cause a once flourishing, growing, powerful mega church begin to experience a steady decline in attendance, baptisms, financial support, and influence in its city? It is a question that members, lay leaders, and financial contributors to a mega church need to ask themselves if they see a downward trajectory. And to be sure, you can't rely on a seminarian in the pulpit to give you answers and solutions, for several reasons. Firstly, the pastor will never blame themselves or other members of the staff or their leadership, even if that is a contributing factor. Secondly, most seminarians aren't interested in dealing with data and facts, but with what some string of unrelated scriptures might say about their church or the people in the church, or what Jesus said in one of the gospels. A seminarian's solution to their church downward spiral is to be found in their KJV or NIV. But there is data available, research has been done, as to what is happening overall in modern evangelicalism, and what in particular might be the contributing factors for any single church decline. Not only is research data available to help provide answers, but a common sense, clear-headed examination of the pastors and the competitive operating environment is needed. Then, solutions might be found. But a solution is not to blame the people for not loving Jesus enough, or not telling enough people in your city about the lovely Lord Jesus. Let's examine some of the reasons a mega church may experience decline. In the next installment of the best of the FBC Jax Watchdog, I am posting an updated and revised article from 2011 on Modern Day Circuit Riders. Nothing has changed since this article first posted - preachers double-dipping by recycling their sermons on the preaching circuit. Another method to fleece the sheep. 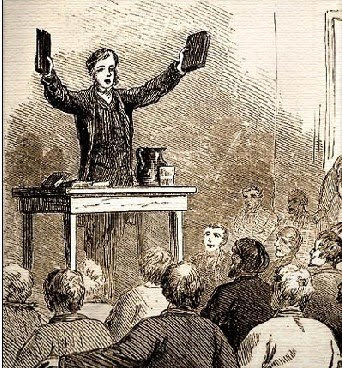 In the late 1700s and early 1800s, the Methodists used "circuit rider" preachers to minister to rural flocks. In our modern evangelical mega church world, we have our own sort of "circuit rider" - the traveling mega church preacher fleecing congregations by accepting large sums of money for recycled sermons at churches they visit. Just look at who was preaching where this summer , and you see a virtual guest-speaker fest. It is hard to keep track of 'em all. Johnny Hunt goes on sabbatical, and Woodstock has to not only continue to pay Hunt's salary and bennies, they have to pay to bring in some big name preachers to preach the word. Steve Gaines was preaching at Johnny Hunt's church last Sunday on his vacation, then on Wednesday he preached at Charles Stanley's church. Not bad, get your vacation fully paid by popping into a few churches to recycle an old sermon and tell the peeps they're thieves unless they give the magical 10%. Gaines' church in turn has to hire speakers for the Sunday night sermons in August. [correction: Gaines' church brings in the big guns on Wednesday nights in August, has for several years]. The emergents are masters at this. They travel to each others' churches and conferences and push their books, and expand their market for selling their Holy Land trips and building their brand image. My word, Steve Gaines is even taking speaking gigs at the Assemblies of God functions! Jack Graham of Prestonwood Baptist Church flew out to Charlotte to be at emergent Steven Furtick's church this weekend, while Kevin Ezell comes to Prestonwood to fill in for Pastor Jack. It is a musical chairs of preachers during the summer as they earn extra scratch for their new boat or condo. Why do they do this? Of course they will tell you they have the most noble of intentions. They are just spreading the gospel, right? No, not really. It is another example of how the great masses in mega churches are fleeced by greedy mega men of God. Their sermons are already on the Internet, and we don't need to fly them in. It is all completely unnecessary. You want to hear Perry Noble tell you you're scum? Go to his website. Want to hear the latest tithing nonsense? Dial up Gaines or Young on your browser. You don't need to fly him in to the church. Besides, can't other staff members at the church fill in for the mega church pastor who is on vacation or sabbatical? The sad answer is no, they can't, because they aren't celebrities. Many worshipers view Johnny Hunt preaching behind their pulpit in the same way a giggling high school girl would see Justin Beiber crooning at their high school. It is all about celebrity. Insiders tell me that visiting preachers at mega churches will earn up to $3000 for a Sunday morning sermon, or $5000 if they do the hard work of staying over and preaching the Sunday evening sermon also. But I'm sure they have not one iota of guilt, since they tithe on the money, which makes them super spiritual. Not bad scratch. If they earn $3000 in addition to their travel, meals and lodging, that is about $100 per minute for an average 30-minute sermon. Not an hour. A MINUTE. That is professional baseball player per minute money. While churches everywhere are seeing their revenue continue to decline, the mega church pastors are hot and heavy to get out on the circuit to get their share of the visiting preacher dollars. And usually what they are preaching is a sermon that is recycled from one they just were paid to prepare and preach at their mega church. Nothing new or fresh. Johnny Hunt does it. Steve Gaines does it. The master was Ergun Caner - as for years and years he was preaching virtually the same story, same jokes and lines at churches all over the country. Sometimes preachers are brought in to do the dirty work of the pastor. One of the more brazen moves was Perry Noble of NewSpring church hiring Robert Morris to come in for two straight weeks to beat up the sheep over tithing, telling them of the curse on them and their money unless they gave Perry's church 10% of their income. Shameless. And don't get me started on the Holy Land trips and luxury cruises hosted by the pastor and his family. I'm just amazed that in these days where governments at all levels are searching for creative ways to gain new revenue that they haven't figured out there is an entire market that continues to operate tax-free. So next time the visiting mega church preacher shows up at your church, put a little extra in the offering plate for the poor traveling preacher. And the next time YOUR mega church pastor takes a sabbatical, you might be shocked to see him preaching the very same sermon multiple times out on the circuit. And the crowds will be eating it up. Washington, DC (WD Press) - Sources inside the the National Security Agency (NSA) have contacted WD Press to leak information about what may be the first wiretapped "calls of God" to a Southern Baptist mega church pastor to change churches. According to the NSA and the the Department of Homeland Security, a pastor surveillance program was initiated under the Obama Administration in 2009 after SBC megachurch pastors began claiming as far back as 2005 that it was God who "called" them to leave a church and go to another one, usually a much bigger one, with ironically always a much larger salary and benefits package. "If these pastors have a direct line of communication with some sky fairy or higher power that is giving them audible, specific directives, resulting in a great gain in personal wealth and power, it is in the best interests of the federal government to know the details and origins of such communications and how they might be used by other men of God in other religions for nefarious purposes," said the NSA source to the WD Press on Monday. Steve Gaines, the President of the Southern Baptist Convention, and Lord Albert Mohler of the Southern Seminary, have issued a joint statement condemning the wiretapping program and the latest leak. 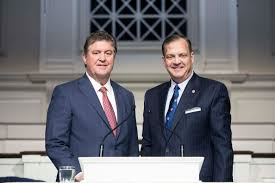 "The communications between God and SBC mega church pastors are private and protected by the first amendment and the oracles of God Almighty and in the matchless name or our Lord Jesus Christ", said Gaines and Mohler. "To think that our godless government under the Obama Administration has been surveilling our trusted men of God should send chills down the spine of every God-fearing American. We call on President Trump and the head of the NSA to put an immediate halt to the pastor surveillance program, and we ask Attorney General Sessions to prosecute the leakers to the fullest extent of the law. " According to sources inside the Department of Homeland Security, the surveillance program was almost scrapped after only one year due to the logistical challenges presented in capturing many of these "calls of God" to SBC megachurch pastors. "Some of these 'calls of God' were made while pastors were riding donkeys up the sides of mountains in the Middle East," said the DHS source, "Or while on long sabbaticals where the whereabouts of the pastor were unknown by even their own church members, as the pastors left town unexpectedly for long periods of time." 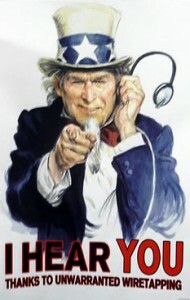 The NSA leaker has told WD Press the name of the pastor who was "called" by God last week, and the churches involved. At this time, however, the WD Press can only confirm that the call of God did indeed involve an enormous pay increase, a 1500 square foot office, a land gift and interest-free loan to build an 8500 square foot home, and an 8-week sabbatical - at his new position that God "called" him to take. The next installment of the "Best of FBC Jax Watchdog" is a must see for all SBC church members. If you wonder why so many SBC pastors are pompous jackasses in the pulpit strutting around and popping off with phony doctrines to manipulate the sheep, your answer is right here. Below I have captured a seminary chapel sermon preached by Lord Paige Patterson, on tithing. He has the audacity to say college students are poor because they don't tithe, then brags about his own level of giving. I've already documented on this blog the truth about tithing from SBC bible scholars like David Croteau and Andreas Kostenberger - but at SWBTS the up and coming pastors are instead taught the phony-baloney theology of Patterson to manipulate church members. I'm not kidding, watching this explains so much of what we see in SBC churches today - wannabe Paige Pattersons who think their arrogance and pride comes across as intelligence and wisdom to the pew sitter. Watch and learn. The Watchdog has captured this for your education and edification. That's right. Amen and amen. Paige Patterson entered the tithing debate in his SWBTS chapel sermon from 4/5/11 on the 8th commandment "thou shalt not steal". And of course no self-respecting Southern Baptist will teach on stealing, without touching on the worst form of stealing: robbing God by failing to give 10% of their income to the local church. Let's all say the eighth commandment: "thou shalt not, not tithe." Patterson told his students that one of the reasons they are poor, is because they're robbing God of the tithe. But of course, he goes on to explain how wonderfully blessed he is, because when he was 15 years old he made a vow to God that he would give 20% of his income to the Lord in exchange for a pulpit to preach in every Sunday. Patterson even says at times he had to borrow money to keep his 20% vow to the Lord. Perhaps Patterson wants his students to be tithing on their Pell Grants and federal student loans. Should they tithe on their "increase" when dear 'ol dad sends a few hundred bucks for expenses? You'll also see and hear in the video where Patterson puts the principle of the tithe on par with one of the ten commandments. Really - you have to see it to believe it. Someone needs to remind Patterson that according to the Old Testament standard, he too is robbing God, because 20% is still short of the 23 1/3% annual amount specified in the bible. And I think Jesus said something to the rich young ruler about selling all of his possessions. But Jesus apparently smiles on Patterson's 20%, and punishes the seminary students with poverty for their stinginess. I can't decide which is more disgusting: watching a wealthy preacher who has literally traveled the world and made millions off of the generosity of Christians his whole life, tell these same Christians that they are poor because they don't tithe....or the thought that his students at his seminary listen and believe him, and will then repeat this rubbish to their own congregations. This message really does harken back to the Catholic church and indulgences: telling the poor to give their alms to the religious institution so that they and their seed may be blessed by God - while the religious leaders live high on the hog as evidence of how God has blessed them and not the plebe. SWBTS seminary students, do you really buy this? And are you going to teach this doctrine to your churches? Pastor search committee members: you might want to play this video when interviewing any SWBTS seminary grads and ask your prospective hire if they really believe this taught by their seminary's high priest. Watch the video above and enjoy, as you watch legalism and prosperity gospel - Southern Baptist Style - in full display. Best of WD: "Want to Start a Church? Then Get a Job, Pastor"
From the 2011 Watchdog archives, below is an article commenting on "church planters". I still wince when I hear full-time ministers discuss THEIR profession as being "in the ministry", while everyone else holds "secular" jobs. Not saying that the job of minister or pastor is a piece of cake, but those "in the ministry" should see what the peeps jobs are like, working 60 hours a week, no affirmation, no "sabbaticals" for a "time of refreshing". In his blog post "How to Plant a Church With Little or No Outside Funding", Les Puryear gives 6 tips on how someone who feels led to start a church can do it without tapping into the SBC resources. I commend Les for this kind of thinking. Yes, a church can be started without having to tap a financial straw into the SBC Cooperative Program. It can be done with putting no one's money at risk. They must get a real job. Or what Les calls a "secular" job. 1. Get a Secular Job" is Les's # 1 tip. "Don't take any salary from the new church until the church can meet its financial needs for startup costs and weekly expenses. Also, when you are in a secular job, you are actually around lost people. These are the people you are trying to reach with your new church plant." "Get yourself a real job, but only until you can get enough members into your home bible study to the point you can begin collecting money they earn in THEIR secular jobs, take that money, rent some space for your church, quit your real job, and then begin drawing an income as a "pastor". And in the meantime you can use the opportunity of rubbing elbows with lost people in your secular job to invite them to your bible study, where you can teach them tithing and they can begin contributing money toward the goal of quitting your job and becoming their pastor." I know that is cynical. But if a pastor can get a "secular job", and if they are a solid bible teacher and have a bible study in their home, why must the natural progression be: get job - start bible study - collect money from those who do work - quit job - rent space - become pastor - have church? Why can't a church planter just do what most committed Christians do: they have careers and families, and they serve the body of Christ for free as a part of their time away from work. I have seen the most committed Christians lay people work a full time job, AND be incredibly productive in ministry at a church for no pay at all. I think Les' use of the word "secular job" is significant. I know he is using it to differentiate from a "religious" job such as a pastor...but let's be real. I wish pastors would stop viewing their jobs as ministers as something different or "special" from those who work in "secular" jobs. Their jobs as minister is "secular" every bit as much as a school teacher's or a doctor, or anyone else. They have a job, they have an employer, they have a boss to whom they are accountable, they have a job description, and they earn pay in exchange for their services. They get evaluated, and they earn raises based on their tenure and performance. I know pastors and ordained ministers say they were "called by God" into their ministry, but they are working stiffs like anyone else is. A pastor or a minister is not any more called into their profession than an engineer, doctor, or educator, or electrician, etc. I also noticed that Les advocates "have your wife get a secular job" and putting the kiddos in public school. Yes, "have" her (make her, as she must obey you) go out and get a secular job, too. Les says she needs to be around "lost people", so get her out there to make a buck to help you start your church. My advice for Les: keep your secular job, maybe even go to night school and re-educate yourself to get a better job, but keep your Bible study in your home. If you teach tithing to your attendees, have them tithe and imagine what good you could accomplish in your community helping people with that cash flow that does not have to go to buildings, utilities, and salaries. 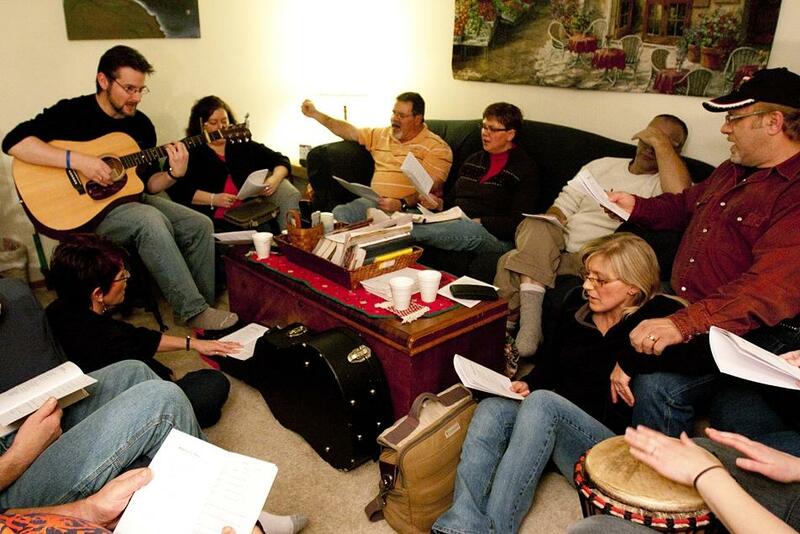 If the bible study gets too big, then sure, rent out the YMCA for your meetings. Or meet at a library or a conference room of one of your attendees' employers. It is called "home church" or "organic church" - a church without a team of men who demand payment for their ministry services, and they are becoming more and more popular. Hi Readers - in between my attempts at satire, I will be publishing some of the best and eternally relevant (in my humble, but correct, opinion) blog posts over the past 10 years. There is a lot to choose from - nearly 900 blog posts. As I peruse these older posts, I'm shocked at some of the shenanigans these charlatan pastors have tried to pull, and every so often it is worth revisiting these so maybe the new converts to the mega church scene can be warned. Some of you old timers remember when Teddy Kennedy in the 1970's and maybe early 1980's would every so often float the idea of running for president, reporters would go into their proverbial closets and get out their notes on the Mary Jo Kopechne tragedy. Teddy would quickly realize they still have the goods on him, and his aspirations would be dashed. So, too, us bloggers should revisit the shenanigans of mega church pastors. It seems the more churches and pastors change, the more things stay the same. So much of what I've written is still so relevant, and so needed - again, in my truly humble opinion. So get ready, and ENJOY.